With years of experience transforming luxury properties across the Evergreen State with spectacular LED lighting, Washington Outdoor Lighting understands the value of finding the right outdoor lighting design for your home. Each and every home is unique, and requires special design specifications that take into account the landscape and architecture of your property. Our hands-on design process means we find the perfect lighting solution for your property, every time. **2019 BEST OF HOUZZ SERVICE AWARD WINNING** At Conscape Lighting + Audio we have a passion for functional, beautiful design. We have deep roots in the landscaping industry. Over the years, we have recognized our clients’ need for high-quality landscape lighting and outdoor audio solutions, and we fulfill it now with Coastal Source products. We are exclusive dealers of Coastal Source products, which are designed and built to bring you the ultimate in functionality, adaptability, reliability and efficiency in one beautiful solution. Quality sound is much different than just sound. Should beautiful sound be confined to your home? Absolutely not! Whether controlled from your smartphone or integrated into your existing home audio system, Conscape Lighting + Audio ensures that Coastal Source Outdoor Audio products can be tailored to fit your outdoor environment. Our clients have the benefit of undergoing their landscape renovations with less contractors, and they are happy with that! We provide our services on site, with the utmost attention to detail. We are committed to providing exceptional products and superior service. Don't let your beautiful landscape disappear when the sun goes down. For over 10 years, the founders of Moon Glow Lightscapes have specialized in illuminating gorgeous landscapes for year-round enjoyment. Our highly customized approach to design and installation ensures you receive the perfect end-result specific to your property and your desired use of your outdoor space. Landscape lighting can extend your outdoor entertaining late into the night, create drama, interest and functionality, and highlight the garden and outdoor space that you want to show off. Wow your guests with accents and features that look completely natural. Moon Glow can help you achieve the result you desire with garden lighting, gazebo lighting and so much more. Reasons to illuminate your exterior: - Direct eyes toward dramatic features and focal points - Create a warm ambience with patio lights for relaxed entertaining - Lead your guests with pathway and garden lighting - Gaze upon your gorgeous landscape in the evening from within your living room - Draw attention to the beautiful architectural features of your home There are endless landscape lighting options that will allow you to appreciate your outdoor living space long after dark. Work with the specialists at Moon Glow to create an enchanting ambience about your property, using fully programmed lighting systems that enhance your patio, pool, driveway or garden. Contact us today to request a consultation discuss your personal moonlight! Oregon Outdoor Lighting is the Northwest's premier LED outdoor lighting company. We offer a one of a kind experience through our nighttime demonstrations. This allows anyone who is interested in outdoor lighting to see and experience our custom designs before they make a purchase decision. While other homes are disappearing into the night your home will come to life as a showpiece of design sensibility. We understand your home is more than just a residence to you. It should be a visual masterpiece that friends, neighbors, even passerby’s can’t help but stop and take notice. All of our custom designed systems are the result of a personal collaboration with each individual client. You have your own specific style and taste. We are here to ensure your lighting system will reflect this. Oregon Outdoor Lighting believes in a “Design First” philosophy. This means is you will never be sold on a light fixture. Beautiful outdoor lighting is not about the fixtures. 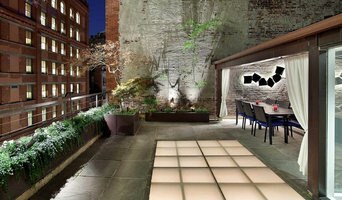 Beautiful outdoor lighting is about creating feelings and emotion. While the quality of the fixtures and LED components is vital to the overall success of your project, we believe in demonstrating your design first. We will then educate you on the fixture options available to create your desired design. In business since 2004, Brilliant Nights is the premier outdoor lighting company on the west coast of Florida. 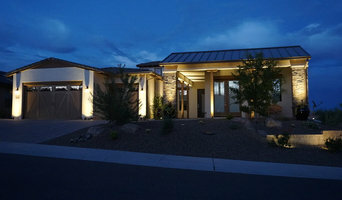 We specialize in residential and commercial outdoor lighting. 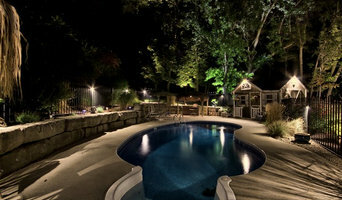 We offer the best in outdoor lighting designs and outdoor lighting installation. Brilliant Nights designers are artists and we see your home or property as our "canvas". From your property, we create a "work of light" by accenting the natural beauty of your tropical vegetation as well as the unique architectural features of your property. Brilliant Nights is built on a foundation of customer service. Rick Bequette, our founder, started the company after discovering that it was difficult to locate a professional outdoor landscape lighting company that offered quality products, quality people and an all around stellar experience. Our goal is always to exceed your expectations and to earn your praise and your recommendation. We want you to be totally satisfied with your outdoor landscape lighting system and we'll stop at nothing to make sure you are. Brilliant Nights is simply the best choice for a truly professional company that provides the highest quality products and services in outdoor landscape lighting design, installation, and service and we operate with your best interests in mind. Want someone who is honest, does what they say, does it nicely and has fair prices? Look no further! I am insured and take sincere interest in my work, ensuring that the quality exceeds what I would be happy to look at every day in my own home. Bolt Outdoor Lighting Pros is a team of creative lighting geeks whom love what we do! Being able to design reliable and elegant outdoor lighting systems for our clients is our passion. We are a full service outdoor lighting experience company. Design/Install/Maintain with an excellent quality line of USA made lighting products. Our BOLT systems boast the best workmanship warranty in the business. We invite you to schedule your free consultation. We service the greater Triangle NC areas as well as the east coast.